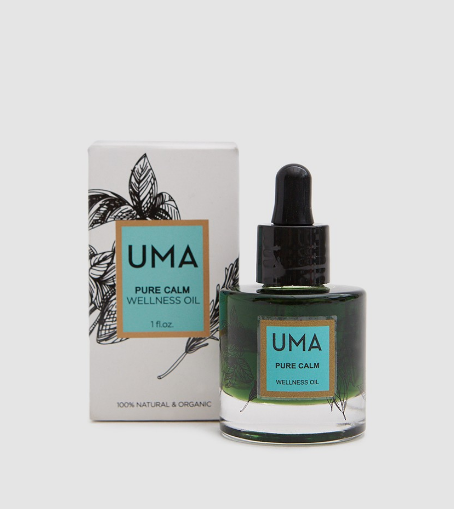 When I can't get to a yoga class, or find a quiet place to sit and meditate during a busy day, I turn to Calming wellness oil from UMA OILS to help me ground down. Designed to naturally alleviates anxious feelings and stress, this perfectly fragrant oil is made with Roman chamomile, vetiver, and lavender essential oils. Suitable for most skin types. Crafted from organic ingredients, Uma Oils are vegan, cruelty free and contain nothing synthetic.